This sweet memory box, painted in American Rogaland style is a fun project. 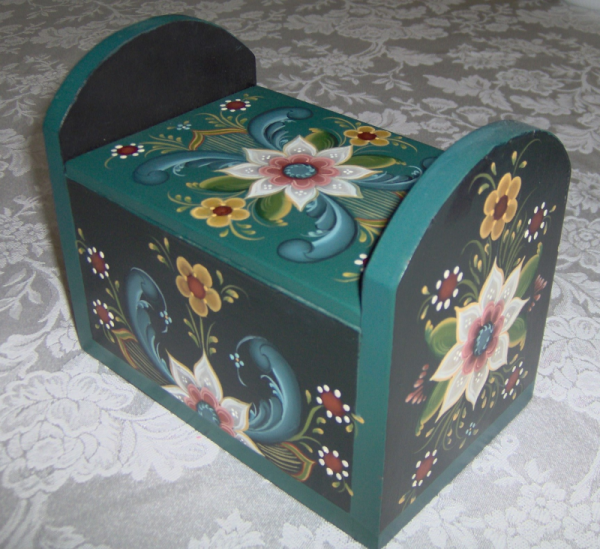 All 4 sides are painted and also the 2 ends, so there is a lot of rosemaling on this piece. Design packet includes pictures, pattern, paint palette, supply list, and full instructions; plus back grounding, brush care, and acrylic conversion information. Mini Cutting Board Rogaland style.